Bill deliverance for windows for $746.50 (could be $146.50). U.S. Express collect bill and return Chicago in greenbacks or national currency. Express charge $2.00 = $748.50. 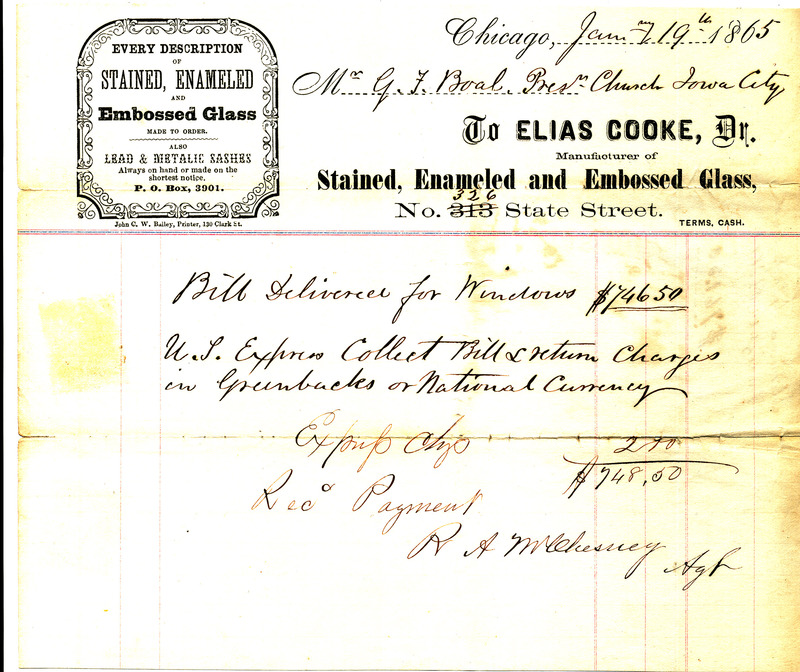 Received payment, R.A. McCheesney.” Receipt for payment of stained glass windows. 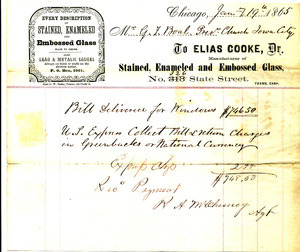 McCheesney, R. A. , “1865 Receipt for payment of stained glass windows,” Iowa City Public Library, accessed April 24, 2019, http://history.icpl.org/items/show/2134.